The perfect freestyle blade for adult beginners & entry-level skaters starting private lessons. Carbon steel. Chrome plated finish. Made in Italy. 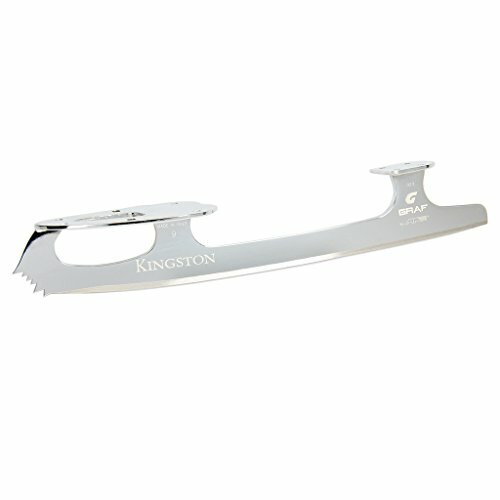 4200 – GRAF KINGSTON BLADE: The Graf Kingston is The easiest freestyle blade for grownup freshmen & access-degree skaters beginning personal classes. Faded elevate perspective for proper axel take off. Complex rocker aids in studying double jumps. Carbon metal. Chrome plated end. Made in Italy. Restricted sizes to be had: 8 1/four” – 10 half of”. Worth in line with pair. The easiest freestyle blade for grownup freshmen & access-degree skaters beginning personal classes. Carbon metal. Chrome plated end. Made in Italy.